Antivirus - Virus Cleaner & Phone Security for Android Security helps protect your phones and tablets from harmful viruses, malware, spyware and dangerous text messages. Especially, Antivirus will keep your personal data safe with "app locker" feature. No more worries about private pictures or messages. Let's download Antivirus - Mobile Security to try now! 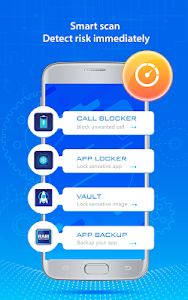 With Antivirus - Virus Cleaner, you’ll receive effective virus & malware protection, as well as a phone locator, app locker, task killer, call blocker, WiFi Scanner to help shield you from threats to your privacy and online identity. Antivirus - Virus Cleaner detects virus & malware by customized scan and removes virus and malware. 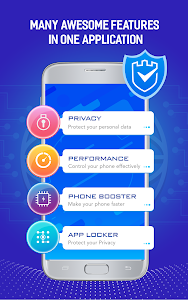 Phone Security - Mobile Security protects phone and also your personal information against malware, anti spyware, and hackers. 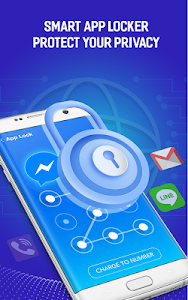 Mobile Security helps lock sensitive apps to protect your privacy and safety or lock your phone settings to secure its configuration. You can add extra password protection to any apps you want. Lock your private apps by using PIN and keep your secret safe from snoopers. Phone Security can lock all unwanted calls. You can add numbers or contacts to the blocklist at any time. Your blocked call history can also be reviewed later. Get the smart Call Blocker from Mobile Security 2017 now. No more harassment. Antivirus - Phone Security protects your wifi by detecting wifi spy. Virus Removal also helps you feel free to surf the internet. 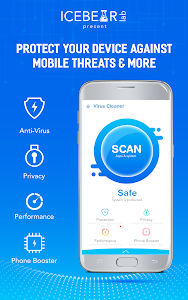 Virus Cleaner - Phone Cleaner cleans app cache, residual files, ad junk, unused package and memory cache. Android security deletes all types of junk files (system cache, image cache, video cache and advertisement cache) to free up the storage space. Analyze the CPU usage dynamically and detect applications that are overusing the CPU to determine the cause of phone's overheating. Allow you to disable the overheating apps with a simple click to reduce CPU usage and cool your phone. Instantly find and fix battery power consumption issues by stopping the power-draining apps from running. Moniter the power consumption of all running applications and detail the application manager. Clean your system garbage to prolong battery life. If you have any comments or suggestions, please let us know. We care about your feedback! 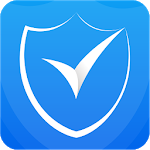 Similar to "Antivirus - Virus Cleaner & Phone Security [PRO]"